Hi! I’m Maja (pronounced Maya) alias mamajac from Cooks and Bakes, I live in Belgrade, Serbia. I joined FFTO a year ago, and now I’m proud to host the November challenge. 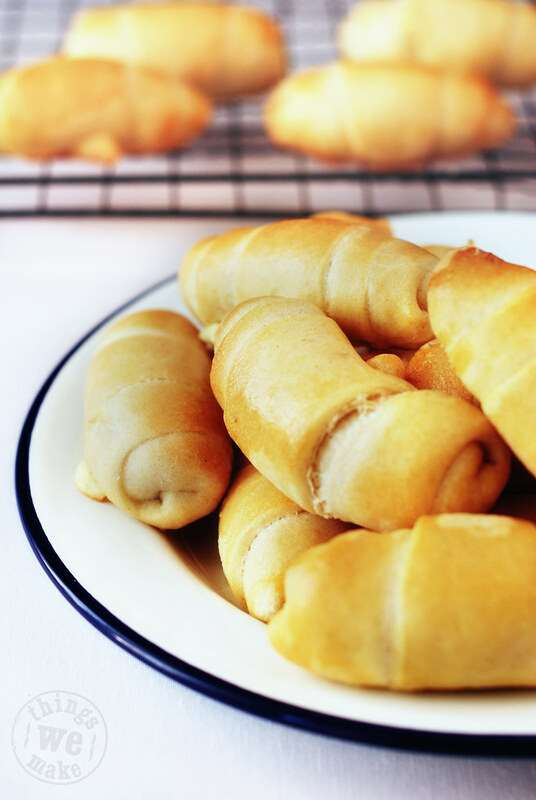 I decided to challenge you to prepare and try one of our family recipes, for super soft mini cheese rolls. 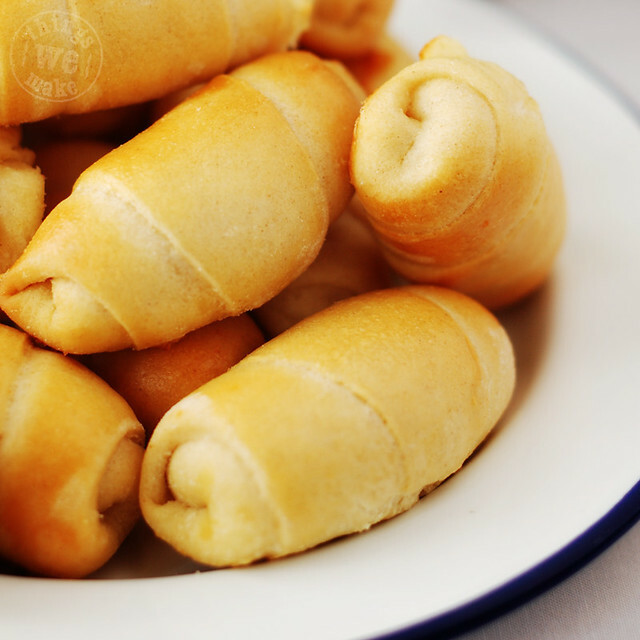 Cheese rolls we use to call kiflice are very popular savory little treats here in Serbia. They are usually served as a starter at family meetings, or as a finger food at parties and they are standard offer at city bakeries. Almost each family has it’s variation of the recipe, and I’d like to share mine with you. I was looking forward to making these. A bite size bready snack, stuffed with cheese can only be a good thing. This was the first time I had used my new Kenwood Chef in anger. It is supposed to be for my birthday but once it arrived it seemed a shame not to use it. It coped admirably with this soft dough and made the whole process very easy. They might seem fiddly to make, but it’s one of those things that once you get into the rhythm, it’s quite simple and enjoyable. I got better as I went along so bun number 40 looked much better than bun 1. There is a teaspoonful of feta, softened with egg white, in each one. I supplemented it with a little cheddar, but I still ran out of filling, so the last 4 were jam filled, which went down well with the boy. If you fancy trying this one out take a trip over to Maja’s blog for more ‘how to’ pictures. There is also a printable version here. Again this group has inspired me to make something new. These are really delicious warm, Fresh From The Oven. Fantastic! I love the picture of the rolls reflected in the mixer. Genius! There were fun to make, weren’t they? They look great. Love your shiny new Kenwood chef. Mine doesn’t look like that anymore :(. Thanks for sharing your tradition, too. As always Claire, your baking is a visual feast. 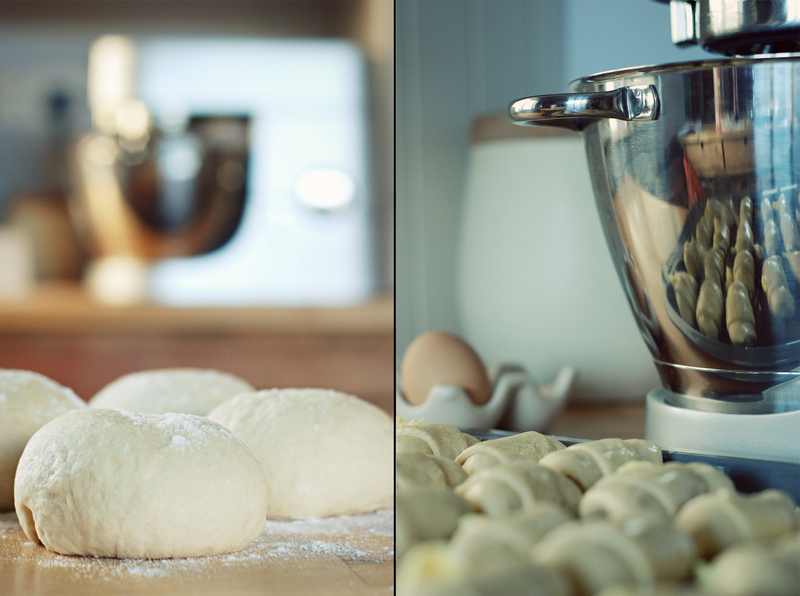 I love the reflection in the mixer bowl and the little snail shell-like curly ends of your kiflice. These were fun to make weren’t they. Claire, astonishing photos as always! Wonderful! I so enjoyed making these! I thought I was going to run out of filling but in the end I had just enough. Why did you use in your mixer in “anger”? Your kiflice looks like you rolled hundreds of thousands of them 🙂 Photos are great, as usual 🙂 The one with reflection of kiflice in your “assistant chef” is really special! Thank you very much for trying the kiflice! Great result! I would love to try them!!! These look wonderful. I never had kiflice before but I am looking forward to making them. This looks delicious. Thanks for sharing! Reminds me of little squares my grandma made with cheese inside. 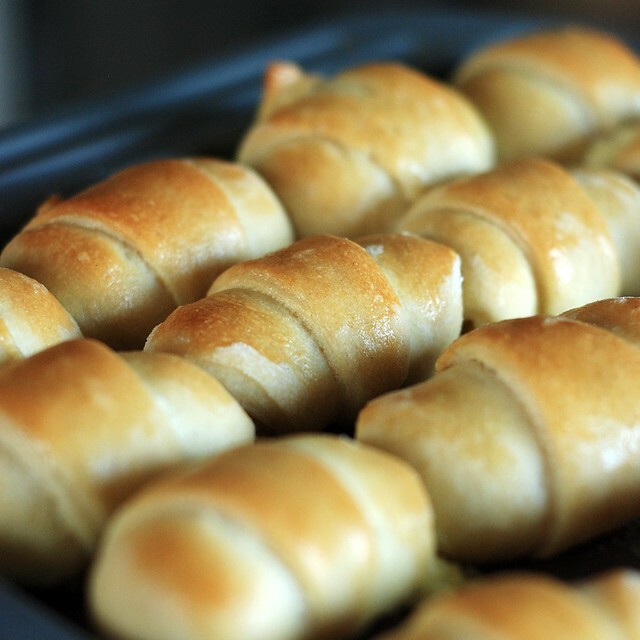 How can you resist little, soft, feta-filled rolls? They’re also adorable. 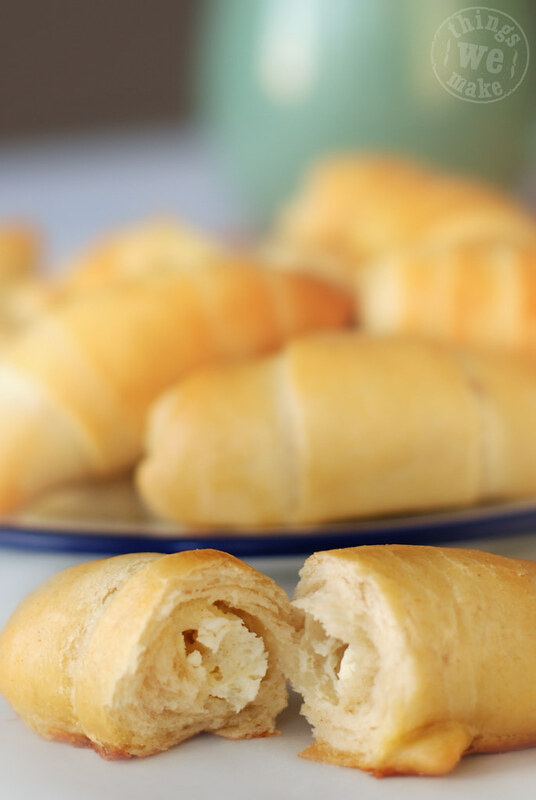 I could see filling them with brie and a little nip of jam (the cheater way is to do that with pilsbury crescent rolls :-P). In my country, Venezuela, there is a popular dish called “Tequeños” and is similar to this dish but it is fried. Lots of lovely comments, thank you so much everyone. I shall me making some variations on these soon.